The World Health Organization has published their monthly Influenza at the Human-Animal Interface risk assessment for December, and while H7N9 and H5N1 activity remains low (2 H7N9 cases reported by China since the last update), they do remark on two other recent avian flu incidents. The first is the ongoing outbreak of HPAI and LPAI novel H5 viruses in France, which we've been following for weeks, including this morning's blog where DEFRA cited a lack of specific information on these viruses as hindering their ability to produce a full risk assessment. Based on the statement below, it seems the WHO finds itself seeking the same information. In recent weeks, highly pathogenic avian influenza A(H5) viruses of several subtypes have been detected in domestic birds in France. 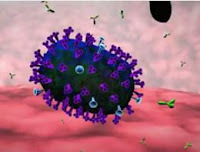 Based on preliminary data, at least one of these viruses has different origins than the influenza A(H5) viruses that have infected the human cases reported in the past. WHO is in contact with the animal health authorities to better undertand these viruses and to more accurately assess the public health risk. The second incident involves a story I blogged earlier this week (see China: Much Ado About Human H9N2), which confirms the reports of 4 H9N2 cases in China in recent months. As you can see by the chart, these notifications come several months after the fact. Since the last WHO Influenza update on 13 November 2015, four laboratory-confirmed human cases of avian influenza A(H9N2) virus infection were reported to WHO from China. All of the cases were reported to have mild disease and none were hospitalized. 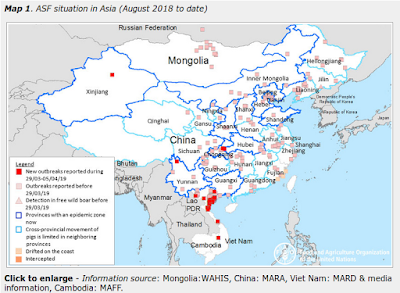 Overall public health risk assessment for avian influenza A(H9N2) viruses: Further human cases and small clusters could occur as this virus is circulating in poultry populations across Asia and the Middle East. Human cases have previously been reported from Bangladesh, China and Egypt. This virus does not seem to transmit easily between humans and tends to result in mild clinical disease, therefore the current likelihood of community-level spread and public health impact of this virus is considered low. Due to the constantly evolving nature of influenza viruses, WHO continues to stress the importance of global surveillance to detect virological, epidemiological and clinical changes associated with circulating influenza viruses that may affect human (or animal) health, especially over the coming winter months.